Abstract: If you've never heard of the "good, fast, cheap" dilemma, it goes something like this: You can have something good and fast, but it won't be cheap. You can have something good and cheap, but it won't be fast. You can have something fast and cheap, but it won't be good. In short, you can pick two of the three but you can't have all three. If you've done a data science problem before, I can all but guarantee that you've run into missing data. How do we handle it? Well, we can avoid, ignore, or try to account for missing data. The problem is, none of these strategies are good, fast, *and* cheap. We'll start by visualizing missing data and identify the three different types of missing data, which will allow us to see how they affect whether we should avoid, ignore, or account for the missing data. We will walk through the advantages and disadvantages of each approach as well as how to visualize and implement each approach. We'll wrap up with practical tips for working with missing data and recommendations for integrating it with your workflow! Abstract: As data scientists, we are expected to be experts in machine learning, programming, and statistics. However, our audiences might not be! Whether we're working with peers in the office, trying to convince our bosses to take some sort of action, or communicating results to clients, there's nothing more clear or compelling than an effective visual to make our point. Let's leverage the Python libraries Matplotlib and Bokeh along with visual design principles to make our point as clearly and as compellingly as possible! This talk is designed for a wide audience. If you haven't worked with Matplotlib or Bokeh before or if you (like me!) don't have a natural eye for visual design, that's OK! This will be a hands-on training designed to make visualizations that best communicate what you want to communicate. We'll cover different types of visualizations, how to generate them in Matplotlib, how to reduce clutter and guide your user's eye, and how (and when!) to add interactivity with Bokeh. Matt currently leads instruction for General Assembly Data Science Immersive across the United States. He most enjoys bridging the gap between theoretical statistics and real-world insights. 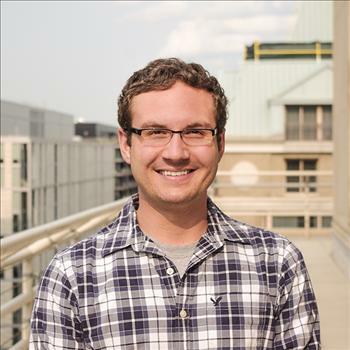 Matt is a recovering politico, having worked as a data scientist for a political consulting firm through the 2016 election. Prior to his work in politics, he earned his Master’s degree in statistics from The Ohio State University. Matt is passionate about making data science more accessible and putting the revolutionary power of machine learning into the hands of as many people as possible. When he isn’t teaching, he's exploring the bar scene in his city (Washington, D.C.), he’s thinking about how to be a better teacher, falling asleep to Netflix, and/or cuddling with his pug.